Shake up your protein choices with these 10 things you would've never thought could have protein! You zombie-shuffle to the nearest drive-thru for an extra-large sundae with not two but three maraschino cherries because, for the love of all that is protein, the thought of another protein shake makes you want to eat your own brain. Staring at the menu, your eyes say yes, but your heart and mind—remembering the goals you've set—say "hell no." This is indeed a conundrum. We've all been there. After a while of the same chocolate, cookies 'n cream, cake batter, or peanut butter protein shake, you need a change. Here's a list of 10 tasty protein-packed alternatives that don't involve a shaker bottle. You'd be surprised by how these divine alternatives can satisfy your cravings while still keeping you on the right path to fitness glory. "Loved this! It made it easy to stick to my nutritional goals whenever one of my sugar cravings hit. A few spoonfuls and I was set. Taste was great, texture was very consistent on how you would expect a pudding to be." "Easy for me to take and eat on the go! And I really like the taste." "Love how convenient they are to eat. Perfect snack to put in the purse and eat on the go! I also was surprised how good tasting they are, although I have only tried the chocolate one." "I'm obsessed with these. I pack lunches and this helps so much. It's hard to get all your responsible meal prep done ahead of time, so this is a great 'cheat.' They also taste amazing." "The Shizz. That is all." "The BBQ flavored chips taste close to the Lay's BBQ flavored baked chips. If you like the Lay's baked chips, chances are you will enjoy these. While there is a slight aftertaste, it's tolerable." "This is one of the best tasting 30+ gram protein bars I've ever tried. Tastes like a candy bar and doesn't fill you up too much. It's a great snack to scarf down on your way to the gym." 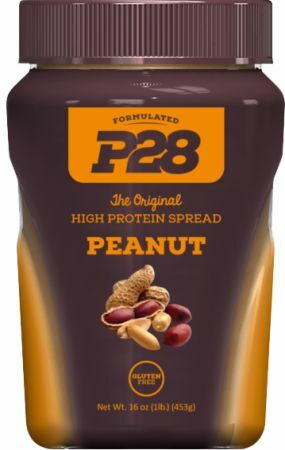 "Great tasting protein bar. Taste is superior to other brands. The only downside are the macros. Its macros aren't that bad but it is definitely a bit worse than some other great brands." 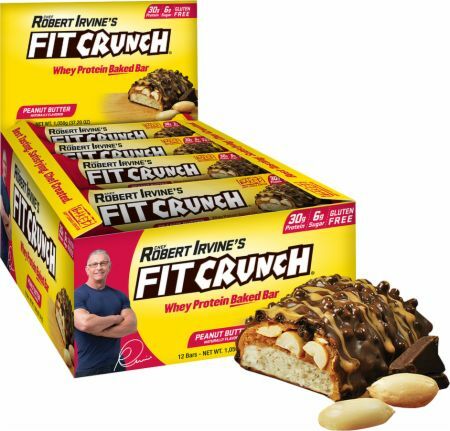 "The FIT Crunch bars pack in 30 grams of protein from 3 different sources with only 6 grams of sugar! They are also under 400 calories, while tasting like a candy bar. I have had all the flavors: peanut butter, cookies and cream, and chocolate chip cookie dough. However, the peanut butter is by far the best flavor!" "It's a little too much for calories and carbs, but it's a real good meal replacement. It calms down your cravings or eating anything bad. 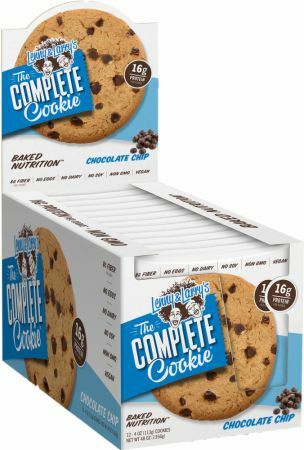 I really recommend it to anyone who loves to eat cookies. Give it a try!" "These cookies are the best! I have one for breakfast every morning. They are filling, and help me reach my macros as well. 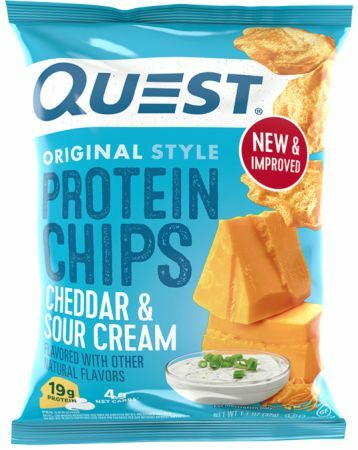 Wish they were higher in protein, but still think this is a great, healthy product." "I've never had a real protein bar until I tried these primal bars. I'm so sick of artificially tasting, protein powder-loaded bars and this bar is just pure meat. It's a real protein bar for all the meat lovers out there! Incredibly tasty, incredibly filling and the blueberry flavor is so good!" 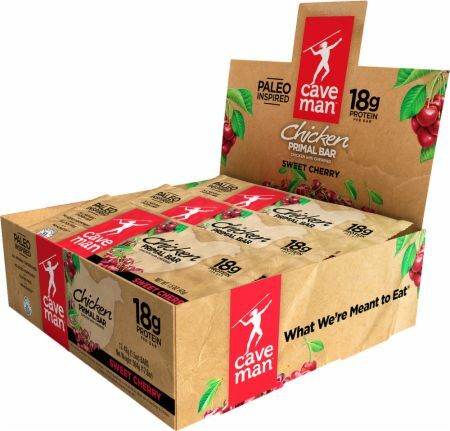 "At first, when I saw the cherry flavor I was put off...but it was amazing! The jalapeno was excellent as well, but a bit too spicy for me. I am planning a large stock up on the sweet cherry soon!" "Flavor is amazing! Not as creamy as I would have liked, but I like the protein it provides!" "I spread mine on toast, and I eat it straight from the jar. It is that good. Once you have a tablespoon, you will keep wanting more and more. It is addicting in the best way possible. This is must have staple for any household!" "I love this spread, and the flavor/texture on these are great. The 14 grams protein per serving are a huge bonus, along with healthy fats to help with my macros. This is definitely worth picking up—very addicting!" "I love this product! It helps me achieve my macros every day, and it's so easy to drink it down. 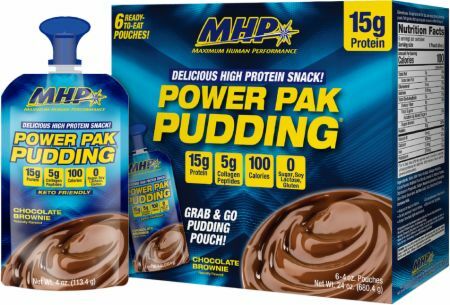 Easiest and best way to get clean straight protein into your system!" 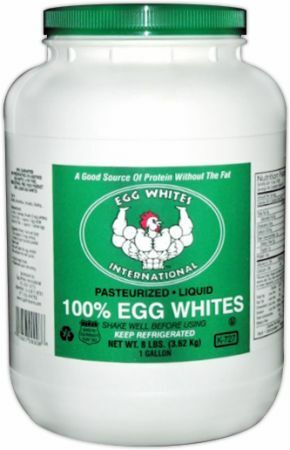 "These egg whites are off-the-hook good. They have no additives like the product I was using (until I discovered these) and have no taste, so you can mix them with anything." "Super easy to make. Only need about 4 minutes to whip one up. I totally felt like I was getting a normal indulgent pancake, but I didn't have to feel guilty afterwards! Delicious even by itself!" "Tastiest and most enjoyable breakfast that I have had in a long time. 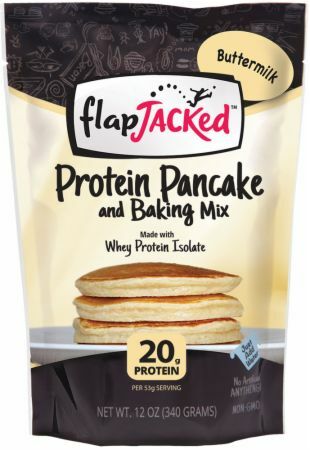 For a busy guy like me, these premixed protein pancakes got me 'FlapJacked' for leg day."